Singer Chris Cornell died as a result of hanging himself, US officials have confirmed. 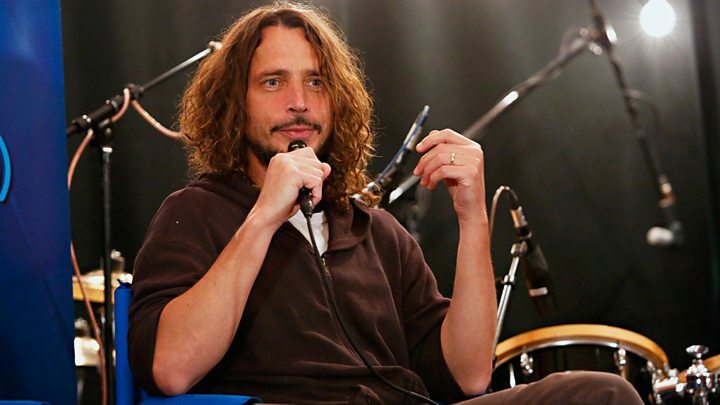 Cornell, 52, was found dead after performing in a concert with his band, Soundgarden, in Detroit on Wednesday evening. The Wayne County Medical Examiner's Office confirmed in a statement the frontman took his own life. In an earlier statement, Cornell's representative Brian Bumbery had said his death was "sudden and unexpected". It also said the family would be working closely with the medical examiner and asked for privacy. Media captionSoundgarden front man Chris Cornell talks to Matt Everitt about the band's early shows. A spokesperson for Detroit Police confirmed to the BBC they received a call just after midnight (05:00 BST) on Wednesday. "He was found on the bathroom floor, our medical unit were called and he was pronounced dead on scene," a spokesperson said. "A family friend went to go check on him and observed him on the bathroom floor. The body was transferred to the medical examiner's office." The medical examiner's office said on Thursday that the cause of death had been determined as suicide by hanging, adding: "A full autopsy report has not yet been completed." The Soundgarden show was part of a wider tour and the group had a number of live dates scheduled for later this month. Sir Elton John led the tributes, tweeting: "Shocked and saddened by the sudden death of @chriscornell. A great singer, songwriter and the loveliest man." Led Zeppelin guitarist Jimmy Page added: "RIP Chris Cornell. Incredibly talented, incredibly young, incredibly missed." 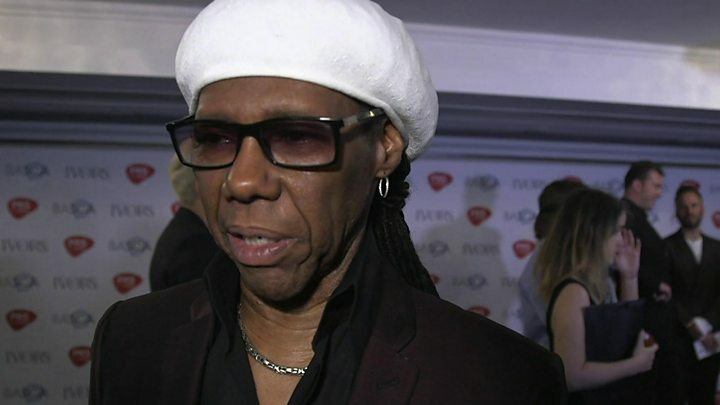 Media captionMusic legend Nile Rodgers: "I just heard the news... it broke my heart"
BBC 6 Music's Matt Everitt said he was taken aback by Cornell's death. "This is a hell of a shock, he'd been gigging frequently despite having a life that was quite extreme, and he was certainly in extremely good health, performing concerts and seemingly pretty much at the top of his game," he said. 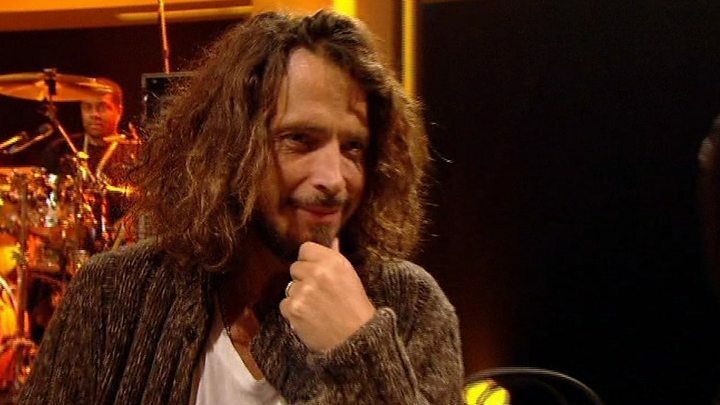 Cornell was born on 20 July 1964. As a solo artist, he released four studio albums - most recently 2015's Higher Truth. His biggest single in the UK was 2006's You Know My Name, which was the theme song to Casino Royale, which starred Daniel Craig. Last year, the band confirmed they were returning to the studio to record new material and a tour was announced for this year. On Wednesday evening, the Fox Theatre in Detroit tweeted pictures of the band while they were live on stage. Cornell himself tweeted about the show on Wednesday evening, writing: "Finally back to Rock City!" Soundgarden's most successful album in the UK was 1994's Superunknown, which reached number four in the chart. In 2001, he joined rock supergroup Audioslave, which consisted of Cornell on lead vocals, together with Rage Against The Machine members Tom Morello, Tim Commerford and Brad Wilk (drums). The group released three albums - all of which reached the top 20 in the UK - but disbanded in 2007. If you are affected by the topics in this article, the Samaritans can be contacted free on 116 123 (in the UK) or by email on jo@samaritans.org. If you are in the US, contact the National Suicide Prevention Lifeline on 1-800-273-8255.